A bicycle or motor scooter are ideal vehicles for exploring Rarotonga, the 25square-mile (67 sq km) main island, and meeting some of itsÂ inhabitants. The paved Ara Tapu road follows the coast, circling the island (20 miles/32 km). Of course, the trip by car is faster and more comfortable. There are no passable roads into the interior, but the Ara Metua, which runs parallel to the Ara Tapu but further inland, still follows its ancient course. The road was formerly surfaced with crushed coral and is said to have been built about 1000 years ago. The Ara Metua winds through areas that are intensively cultivated, past colorful gardens and plantations and presents the island from a very different perspective than the coastal road. Taking the Circle Island Tour counterclockwise (west of Avarua), a number of large trees soon come into view on the right-hand side of the road soon after leaving Avatiu harbor. Among them are Barnngtonia (Barringtonia asiatica), a large tree bearing interestingly-shaped fruit and bizarre flowers looking like the bristles of shaving brushes. Formerly the pits were dried and ground to make a sort of fish poison, which was tied into a piece of cloth and lodged into a coral crevice beneath the surface of a calm lagoon. A little while later, the numbed fish would rise to the surface and could be gathered up with little effort. The poison did not affect human beings so the fish were safe to eat. Today, fishing with Barringtonia poison is forbidden throughout the South Pacific. 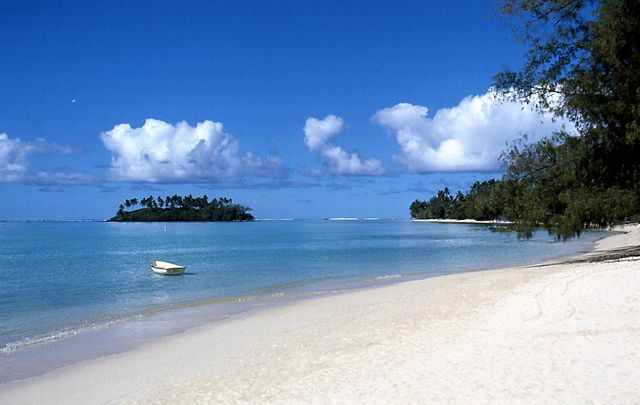 Just over one mile (2 km) to the west is Rarotonga Airport. Less than a mile (one km) further down the coast stands the House of Parliament. It is possible to go and watch parliament in session from a visitors’ gallery (February-March and July-September, Tel: 26500). Soon the end of the landing strip, which reaches almost to the coastal road, comes in sight. Just beyond the Rarotonga Golf Club (nine holes, open Monday through Friday for visitors) is a black lava stone formation called Black Rock. It is a mystical place where, prior to Christianity, Rarotongans believed the souls of the dead began their journey to the original home of the dead, Avaiiki. The sea at Black Rock is perfect for swimming. A few hundred yards farther along, a side road leads to the hospital. Hospital Hill, a five to ten minute walk from the parking lot, offers a spectacular view of Arorangi. In former times the Arorangi District had a great deal of political power. It was where the missionaries founded their first village. Today, the west side has become the focus of the island’s tourist industry and that is where many of the large hotels and a selection of smaller inns have opened for business. Sparkling white sand beaches stretch out in both directions, but swimming, especially at ebb tide, is barely possible owing to the sharp coral reefs. 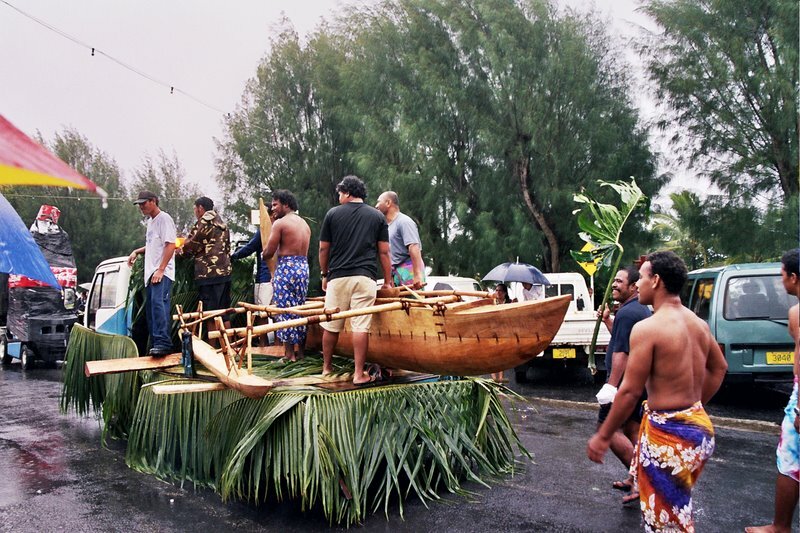 The Cook Islands Cultural Village, an open air museum, which should not be missed, is less than 4.5 miles (7 km) from the center of Avaruas on the Ara Metua. 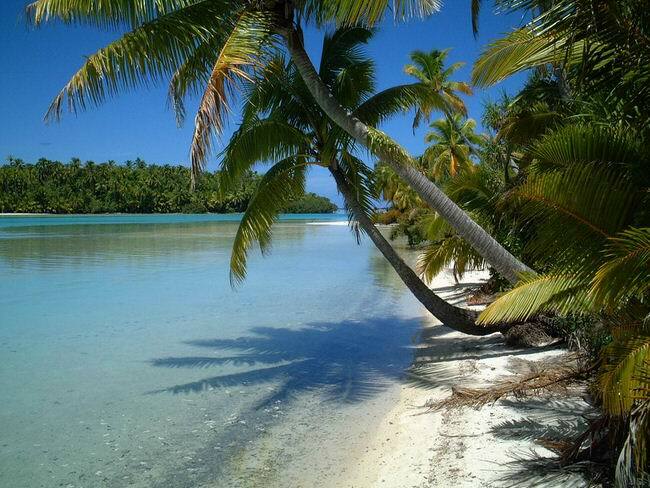 Reconstructed Polynesian houses and guided tours give a lively impression of the culture of the Cook Islands. A traditional pit barbecue in an earth oven is accompanied by South Sea dances. The Tamure, once forbidden by the missionaries, is an erotically charged dance for couples. It is indeed quite difficult to leave such an exciting place and continue the tour. Back on the coastal road, less than a mile away (one km) two old buildings merit closer inspection. The colonial style Timomana Palace (also known locally as Au Maru), a lovingly-restored wooden house was once the residence of the great chieftain Tinomana who was baptized by Papeiha, a Tahitian missionary who eventually became his son-in-law. The Cook Island Christian Church next door was built in 1849. Papeiha is buried in its cemetery. A monument marks his grave. Attending a mass here is also an interesting social experience. Further south, a road forks off to the left and leads to the Highland Paradise (Tel: 20610), a botanical garden with an archeological complex that lies on a slight elevation. The Rarotongan Resort, farther south, was renovated in 1997. It was the first large hotel on the island and catered well to its illustrious guests long before tourism became established in the area. At the resort, the coastal road nears the water and the view skims the trees of the steep mountains at the island’s interior. In Titikaveka, the southernmost community on the island, is a delightful coral block church built in 1841. 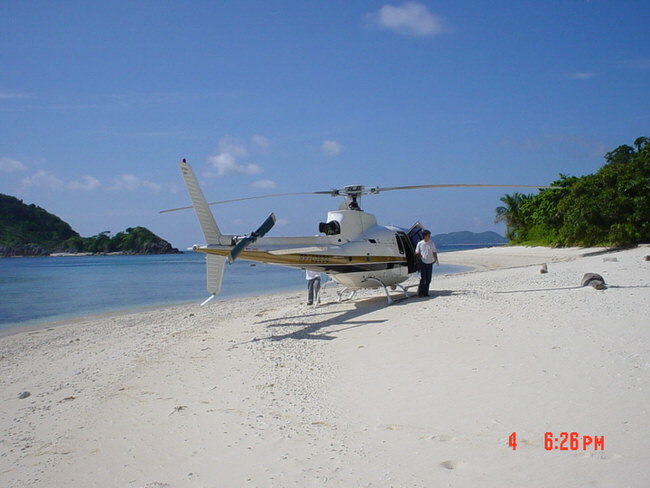 Muri, the village less than 2 miles (3 km) away, embodies everyone’s South Seas dream: a white sand beach, shimmering bluegreen lagoon with a tiny coral atoll in the distance. Even Rarotongans appreciate the good swimming and wide selection of water sports, especially windsurfing, available at Muri Beach. A street follows the southern bank of the Avana Stream inland. The path along its bank provides a good opportunity for an extended hiking tour into the interior. Ngatangiia (or Avana) Harbor, north of the estuary, now provides a good anchorage for yachts and fishing boats. According to legend, in ancient times it was the point of departure for large canoes which set sail in the 13th century on the 3000 mile (ca 5000 km) journey to New Zealand. Seven of the boats actually reached their destination. The intrepid seafarers are honored to this day as the forefathers of New Zealand’s Maori population. From the Ara Metua, paths snaking along the Turangi stream allow for hikes into the island’s interior region. 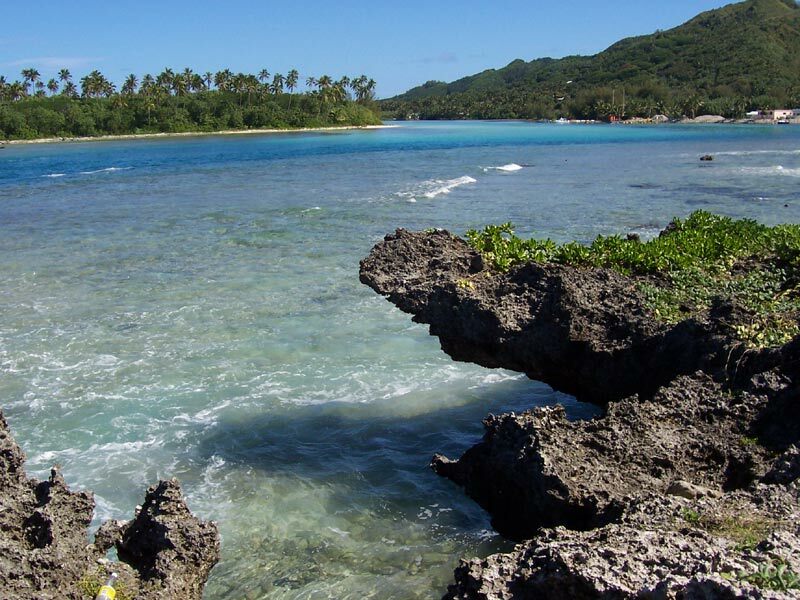 The coastal road travels further toward the north, past Perfumes of Rarotonga, where the intoxicating scents make perfect souvenirs. Shortly before Avarua, a street bears off to the left to the Arai Te Tonga complex. Before the arrival of the Europeans, this was the place where new chieftains were innaugurated. The places of worship are still regarded as sacred and cannot be entered. A number of hiking trails of various degrees of difficulty lead into the interior. The Cross Island Track, for example, crosses through the middle of the island to the bizarre rock formations of Te Rua Manga (1321 feet/413 m), called “The Needle” by local inhabitants. 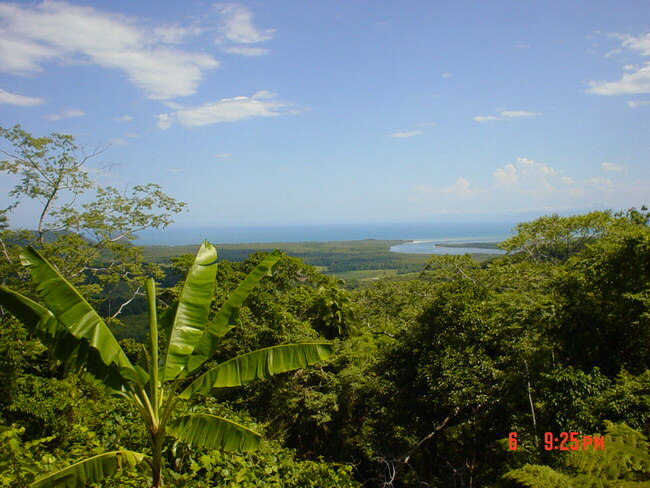 Further inland is Wigmore’s Waterfall and the Papua Stream to the southern coast, a hike of four to five hours. Brochures describe these hiking possibilities and list good guides. 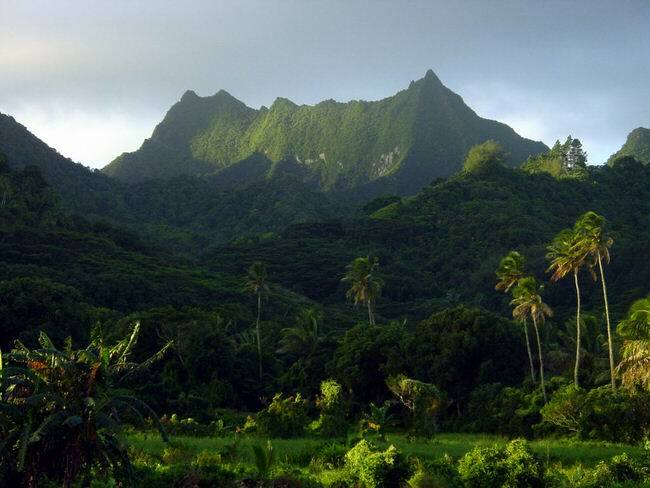 Exploring the valleys by car on the banks of the Takuvaine or Avatiu Stream is another attractive possibility.